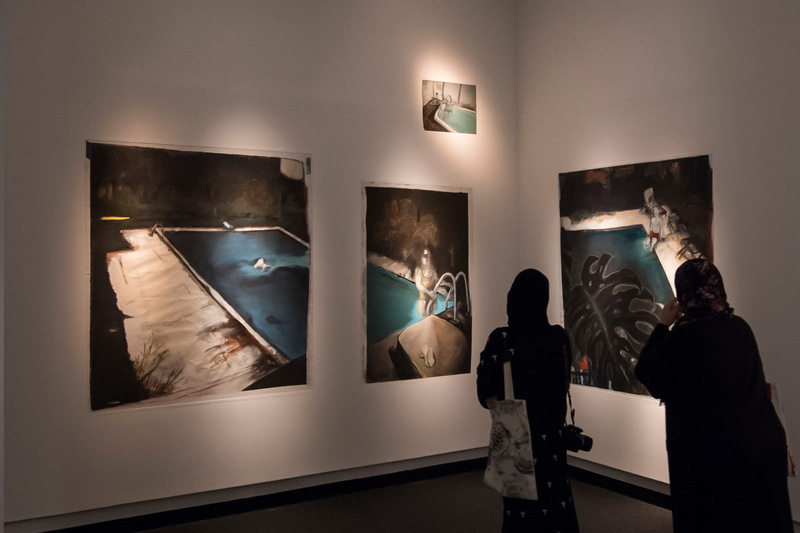 Tamara Al Samerraei’s paintings are based on photographs from both her personal archive and the public domain. Film stills, digital images and other found, stolen or borrowed visual materials are brought together to extend contemplation of familiar scenes. 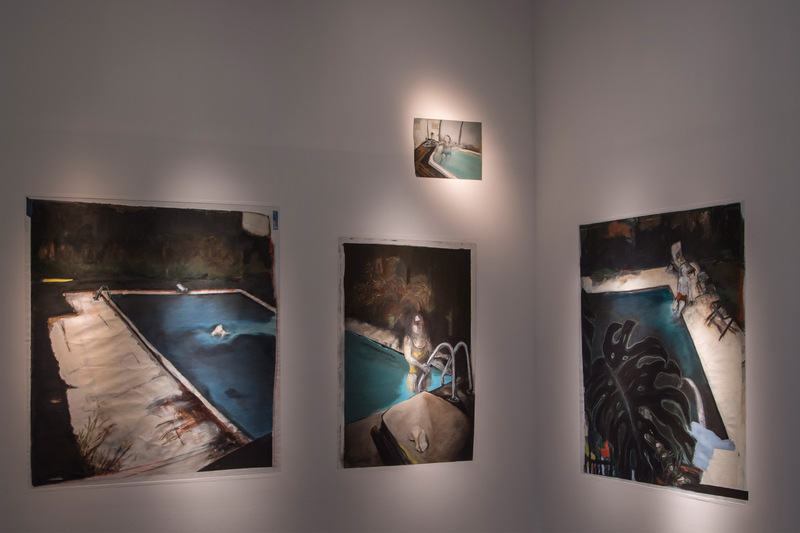 Val de Pome (2017) is a series of paintings that draw on faded snapshots from Al Samerraei’s archive, depicting people on summer vacation by the pool. Although the original photos are representative of the glamour, luxury and sensuality often associated with such picturesque moments, the paintings are filtered through the artist’s dark, recurring dreams, which inform her palette. Water is not rendered as reflective but rather as an opaque and viscous substance that the figures dip into, blithely unaware of the viewer’s presence.